The art of celebrating a shared history and tradition Arxiu. Like in most countries in the West, Catalonia has become increasingly secular over the past few decades. However, centuries of Christian dominance has left its mark on society in general. One of them is the Christmas tradition of the nativity scene, or pessebre as it is called locally. 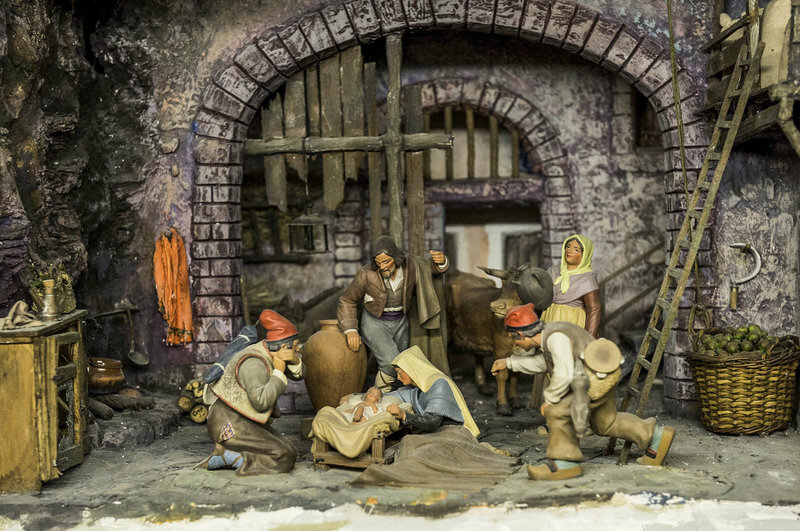 In fact, in Catalonia, building a miniature version of the birth of Jesus is still extremely popular, and at this time of year there are no shortage of examples to be found everywhere. A popular activity to do with children at home or at school, elaborately made pessebres are also to be found in some churches and town squares, and it is common to see nativity scenes on display in exhibitions in the run-up to the festive season. In fact, many towns around the country even have associations representing and displaying the work of pessebre-makers. An example is the pictured nativity scene, which was made by a member of Barcelona’s Associació Pessebrista. Catalonia’s fascination with pessebres goes even further, as over the festive season places everywhere in the country even put on ’living nativity scenes’, which represent the birth of Jesus with real live people. Whether you are a religious person or not, there is no reason why everyone cannot admire the hard work and skill that often goes into creating these celebrations of a shared history and tradition.